Opera is on a roll lately. 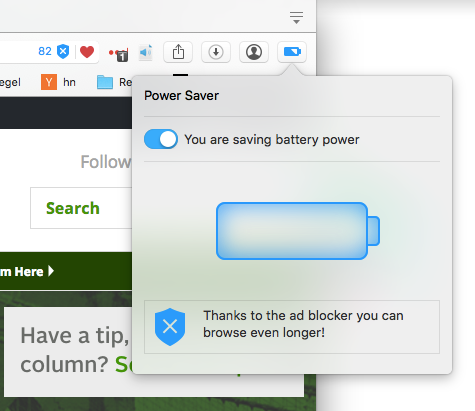 Over the last few weeks, the company added a built-in ad blocker and VPN service to its desktop browser, for example. Today, the company is launching a new early release developer version for its Windows and OS X users that includes a power-saving mode. Opera argues that this new mode will ensure that laptop batteries will last significantly longer than without it. The company says this new mode can increase battery life by as much as 50 percent compared to using Chrome or an older version of Opera . Those are obviously Opera’s own numbers, so it’s worth taking them with a grain of salt. If the OS X Activity Monitor’s Energy tab is to be believed, though, this new developer version in power-saving mode definitely looks like it’s using less energy than Chrome. The power-saving mode automatically turns on when you unplug your laptop. None of this is obviously magic. When it goes into this new mode, the browser reduces the activity from background tabs, slows down the page-redrawing frequency and makes changes to the video playback parameters. It’s worth noting that Opera didn’t look at Safari on OS X to compare its browser’s battery performance. 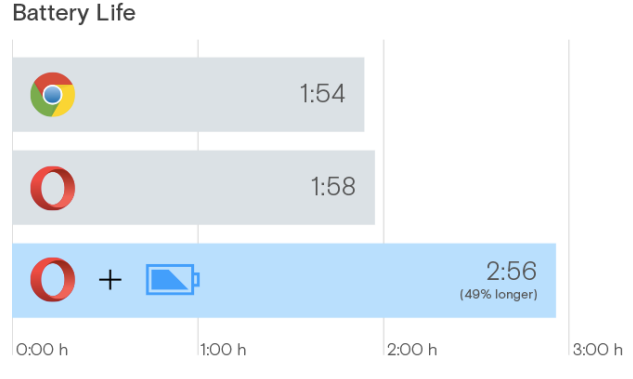 Apple claims using its browser, too, can lead to longer battery life. The company claims two hours of extra battery life compared to Chrome and Firefox while surfing the web, for example. Given that battery life remains a major issue for laptop users, chances are Chrome and Firefox will add similar modes in the future, too.